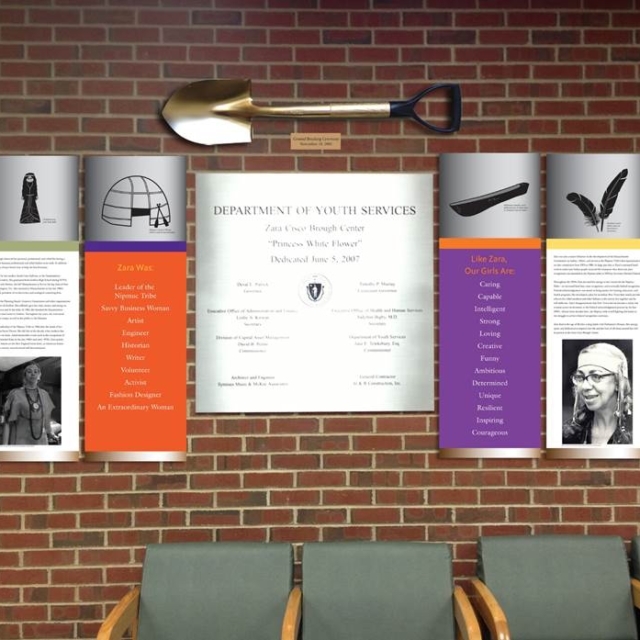 For the Zara Cisco Brough Center, part of the Department of Youth Services, we designed a wall focused around Zara Cisco Brough “Princess White Flower” at the Department of Youth Services facility in her honor. 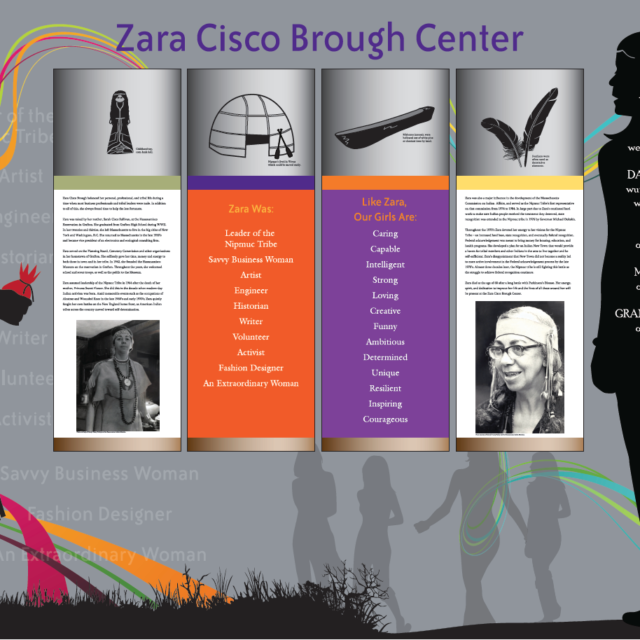 We collected quite a bit of articles and copied photos of Zara along with some items from the grand opening of the building “Zara Cisco Brough Center”, which is where this piece was installed. 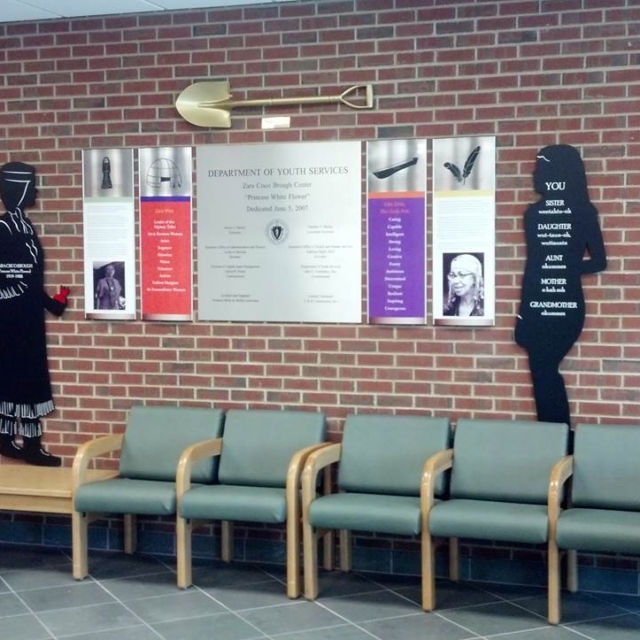 We gained rights to photos of Princess White Flower from the Hassanamisco Indian Museum and Cheryl Stedtler. The theme of the piece was to show the girls living in the unit that they weren’t that different than Princess White Flower and they too, coming from challenged backgrounds could achieve anything they wanted too.